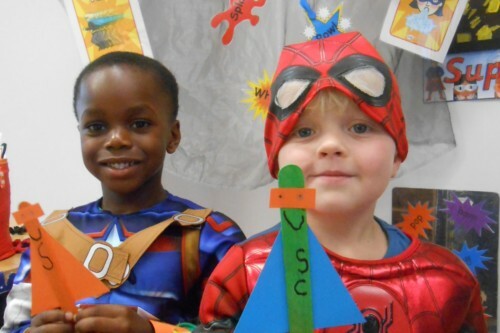 To finish off our superhero topic the boys in PP1 came to school dressed as superheroes last Thursday. We were awash with Spidermen, Batmen, Captain Americas, Iron Men and Thor. You could even see one Hulk in disguise if you looked really closely. Over the course of a very busy morning our superheroes created a magnificent array of superhero crafts. These gave the boys a chance to practise some of the skills they have been using in Art lessons and in the making area. We were pleased to see how independent they have become at using a range of tools and techniques. They went home laden down with their “makes”. Well done PP1, the superhero teachers are proud of you. Next stop, Christmas!